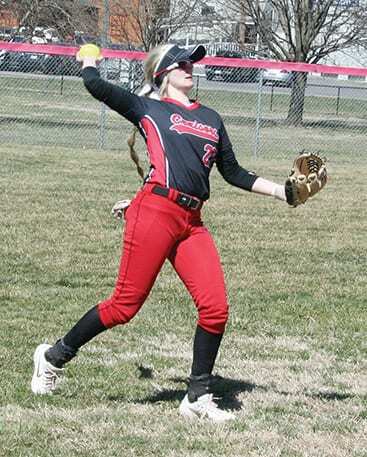 The defending Ohio Capital Conference Capital Division champion Groveport Madison Cruiser varsity softball team opened their 2019 season with a doubleheader against Tri-Valley on the softball field at Groveport Elementary on March 23. 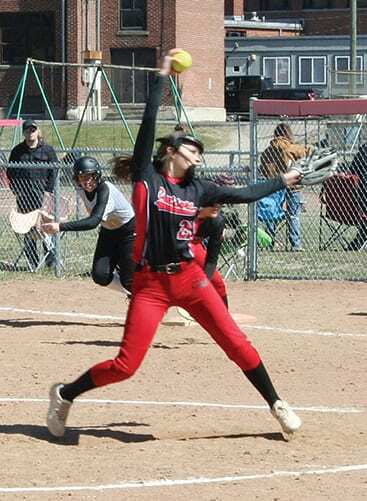 The first game of the doubleheader was a slugfest with Tri-Valley defeating the Cruisers 16-15, but the Cruisers bounced back to win the second game 4-2. 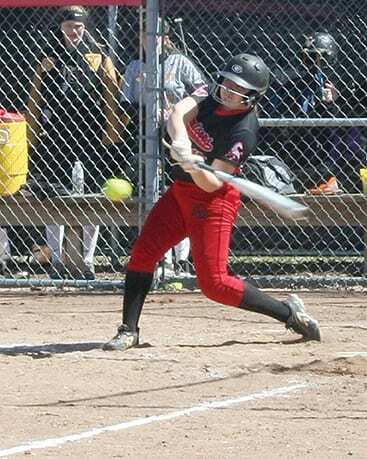 The first game featured two Cruiser freshmen players hitting two-run home runs. Gabby Adams blasted her homer in the fourth inning and Kendyll Cahill hit hers in the sixth inning. 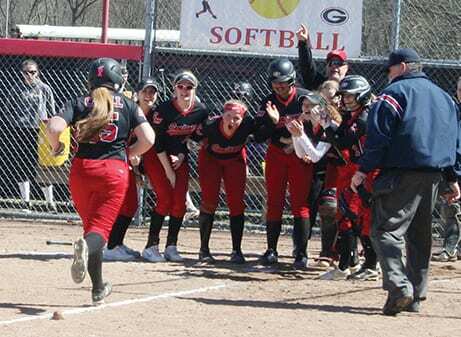 Pictured here are Cahill’s Cruiser teammates welcoming her at home plate following her home run. 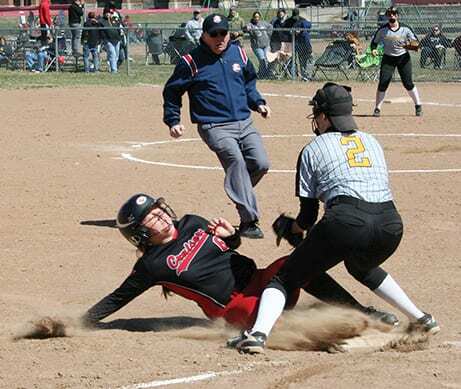 Cruiser Macie Sporleder exhibited some successful aggressive base running as here she slides safely into third base. Kendyll Cahill’s home run swing. Cruiser pitcher Ally Maddy firing in a pitch. Cruiser shortstop Lanie White loosening up between innings. 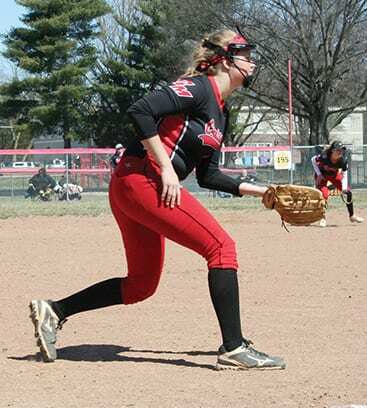 Cruiser third baseman Macie Sporleder gets ready to field a ground ball.